Located on the Bay of Islands at the mouth of the Humber River, Corner Brook is a lovely small city with a population of around 20,000 people. 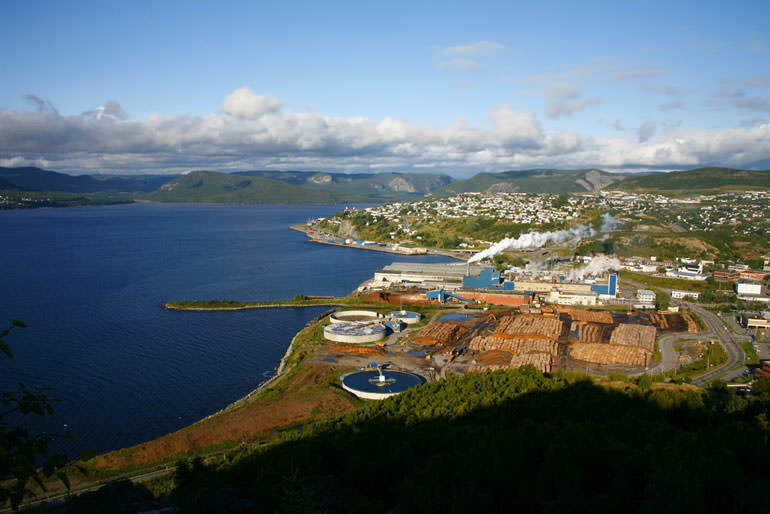 Corner Brook is the largest community in Western Newfoundland, and is a service center for Western and Northern Newfoundland. Corner Brook is a city that you will immediately fall in love with as it has something for everyone. There are cultural and arts centers around town, as well as public and private art galleries. A strong arts community exists at Grenfell Campus, Memorial University. Another important cultural institutions is the Corner Brook Arts and Culture Centre which promotes all types of art. In addition, Corner Brook hosts the Stage West Theatre Festival, the Gros Morne Summer Music and The March Hare. The Stage West Theatre Festival is held annually in July and is a splendid community experience. The Gros Morne Summer Music is a classical music festival that spans July and August, while the March Hare occurs every March and celebrates the written word. The city is surrounded by nature and one of the most popular recreation spots is the Corner Brook Stream Trail. There are also wonderful parks where you and your family can enjoy the magnificent views and Corner Brook’s landscape. Of course, the town has a number of classy restaurants, cafes and shops. Corner Brook also has an excellent port which is an attraction for visiting cruise ships. Last but not least, this small city is a great starting point for exploring Western Newfoundland and surrounding areas.